Computers are such an integral part of our everyday life now most people take them and what they have added to life totally for granted. 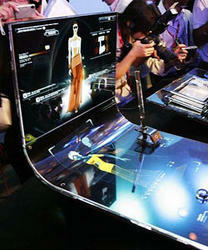 Even more so the generation who have grown from infancy within the global desktop and laptop revolution since the 1980s. The history of the computer goes back several decades however and there are five definable generations of computers. Each generation is defined by a significant technological development that changes fundamentally how computers operate – leading to more compact, less expensive, but more powerful, efficient and robust machines. These early computers used vacuum tubes as circuitry and magnetic drums for memory. As a result they were enormous, literally taking up entire rooms and costing a fortune to run. These were inefficient materials which generated a lot of heat, sucked huge electricity and subsequently generated a lot of heat which caused ongoing breakdowns. These first generation computers relied on ‘machine language’ (which is the most basic programming language that can be understood by computers). These computers were limited to solving one problem at a time. Input was based on punched cards and paper tape. Output came out on print-outs. 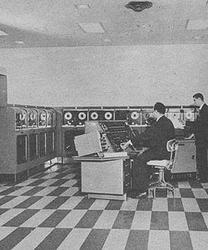 The two notable machines of this era were the UNIVAC and ENIAC machines – the UNIVAC is the first every commercial computer which was purchased in 1951 by a business – the US Census Bureau. The replacement of vacuum tubes by transistors saw the advent of the second generation of computing. Although first invented in 1947, transistors weren’t used significantly in computers until the end of the 1950s. They were a big improvement over the vacuum tube, despite still subjecting computers to damaging levels of heat. However they were hugely superior to the vacuum tubes, making computers smaller, faster, cheaper and less heavy on electricity use. They still relied on punched card for input/printouts. The language evolved from cryptic binary language to symbolic (‘assembly’) languages. This meant programmers could create instructions in words. About the same time high level programming languages were being developed (early versions of COBOL and FORTRAN). Transistor-driven machines were the first computers to store instructions into their memories – moving from magnetic drum to magnetic core ‘technology’. The early versions of these machines were developed for the atomic energy industry. By this phase, transistors were now being miniaturised and put on silicon chips (called semiconductors). This led to a massive increase in speed and efficiency of these machines. These were the first computers where users interacted using keyboards and monitors which interfaced with an operating system, a significant leap up from the punch cards and printouts. This enabled these machines to run several applications at once using a central program which functioned to monitor memory. As a result of these advances which again made machines cheaper and smaller, a new mass market of users emerged during the ‘60s. This revolution can be summed in one word: Intel. The chip-maker developed the Intel 4004 chip in 1971, which positioned all computer components (CPU, memory, input/output controls) onto a single chip. What filled a room in the 1940s now fit in the palm of the hand. The Intel chip housed thousands of integrated circuits. The year 1981 saw the first ever computer (IBM) specifically designed for home use and 1984 saw the MacIntosh introduced by Apple. Microprocessors even moved beyond the realm of computers and into an increasing number of everyday products. The increased power of these small computers meant they could be linked, creating networks. Which ultimately led to the development, birth and rapid evolution of the Internet. Other major advances during this period have been the Graphical user interface (GUI), the mouse and more recently the astounding advances in lap-top capability and hand-held devices. Computer devices with artificial intelligence are still in development, but some of these technologies are beginning to emerge and be used such as voice recognition. AI is a reality made possible by using parallel processing and superconductors. Leaning to the future, computers will be radically transformed again by quantum computation, molecular and nano technology. The essence of fifth generation will be using these technologies to ultimately create machines which can process and respond to natural language, and have capability to learn and organise themselves.